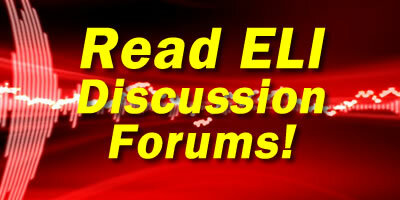 At first glance, the title of this post seems misplaced in context of the ELI website and ELI Forums. However, many of the online defense tactics that ELI currently uses against lawyers that attack ELI have their roots to Napoleon Hill’s Foundation dispute with MasterMind Forums (MMF), an online community I operated from 1999-2007. MMF was created as an innovative way of reaching out to like-minded, success-oriented, entrepreneurial people on the Internet. What we now call an “online community” I referred to then as an online “mastermind”, a voluntary gathering and sharing of information with interesting, intelligent people engaging in public dialog. Without question, I was inspired by the concept of the “mastermind” as described in Napoleon Hill’s famous book “Think and Grow Rich” (TAGR) and executed an operating philosophy that was similar but also very different from what was described in that book. “Think and Grow Rich” was written in the late 1930’s and there was barely telephone and radio service and certainly no Internet of any kind. Regardless, TAGR specifically discussed a personal gathering of like-minded individuals. In the age of the Internet, it was a very limiting concept if taken literally. Ironically, the Napoleon Hill Foundation attempted to create their own “mastermind forum” as I had but it was poorly implemented and, quite frankly, it was pathetic. The folks running the NHF website didn’t appear to know technology or understand how people interacted on the Internet. I saw what was posted. There was little purpose, direction, or guidance. There did not appear to be any public administrator, facilitator, or moderator of any kind. And from what I could see, it was simply a mess. MMF had ground rules and boundaries. There was direction and a purpose set. MMF organically grew and adopted other author and speaker philosophies to discuss and learn from such as Robert Kiyosaki of “Rich Dad Poor Dad” fame. During the early 2000’s, RichDad.com did not have an online community of any kind. I saw the growing popularity of Robert Kiyosaki’s books and board games and MMF became the benefactor of that popularity. Quite simply, MMF gained prominence and high positions in the search engines of that period on several keywords such as “mastermind”, “Napoleon Hill”, “robert kiyosaki”, “rich dad poor dad”, among others. The growing popularity and traffic of MMF attracted other speakers and authors to that community where MMF was host of the “official” discussion forums of those authors and speakers. And so, in October 2000, The Napoleon Hill Foundation, in its infinite wisdom, directed a law firm to send MMF a letter objecting to the word “mastermind” within the MMF website and discussion forum. I was surprised to see the letter because there was no prior notification of any kind by the Napoleon Hill Foundation. Although I was nervous not having encountered this before, I wrote a rebuttal letter because I strongly felt that what MMF was doing was not an infringement or caused public confusion of any kind. After that rebuttal letter, I heard nothing for a long while. In August 2002 (nearly 2 years later), I received another letter from the law firm of The Napoleon Hill Foundation, this time objecting to the use of the word “mastermind” and the name “Napoleon Hill” within the MMF website and discussion forums. Again, I was surprised to receive their letter but this time around, I was both irritated and annoyed. It became clear to me that the Napoleon Hill Foundation was ignorant in what we did and they were going to continually harass MMF. I had no intention of letting that happen again without some consequence. Clearly, trying to be nice and responding in private did not work. This time around I decided to go public and make a big splash on MMF with a prominent disclaimer page with a few snarky remarks on the MMF home page outlining every concern they brought up. I wanted to put this issue to bed once and for all. I responded in great detail with my 2nd rebuttal letter to The Napoleon Hill Foundation. This entire incident I ultimately shared publicly caused the MMF website to prominently appear in search engines of that period under the key phrase “napoleon hill foundation”. And yes, I did get a nice bit of extra web traffic because of that. After that prominent disclaimer page was posted and my 2nd rebuttal letter sent, I never heard from the Napoleon Hill Foundation again. Clearly, I never forgot them and what they put MMF through. Hence, I have decided to repost the decade-old letters as an educational tool for others to learn from along with the ELI letters. The biggest lesson I learned is that in responding to a bully with unfounded or unfair claims is to make sure the bully knows others are watching. After that incident 10 years ago, I never respected The Napoleon Hill Foundation again. They were run by spineless employees sucking off on paychecks coming from the written works of a brilliant man from the 1930’s. Those employees certainly didn’t have much of a clue on how the Internet worked. From what I was told, all they knew how to do was to send out “cease and desist” letters. They certainly don’t know how to build online communities or relationships. Having said all this, the ELI community is a beneficiary from this dispute that started over a decade ago. The letters have been uploaded to a Scribd collection called Napoleon Hill Foundation Dispute with MasterMind Forums. Enjoy.